Just what would YOU do with it ??? 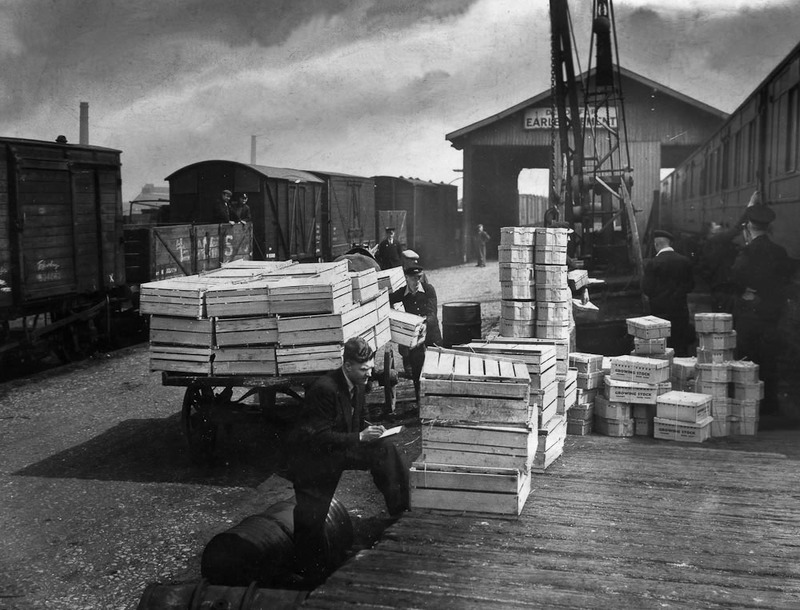 We have spent hours trying to find a use for the Station Building. 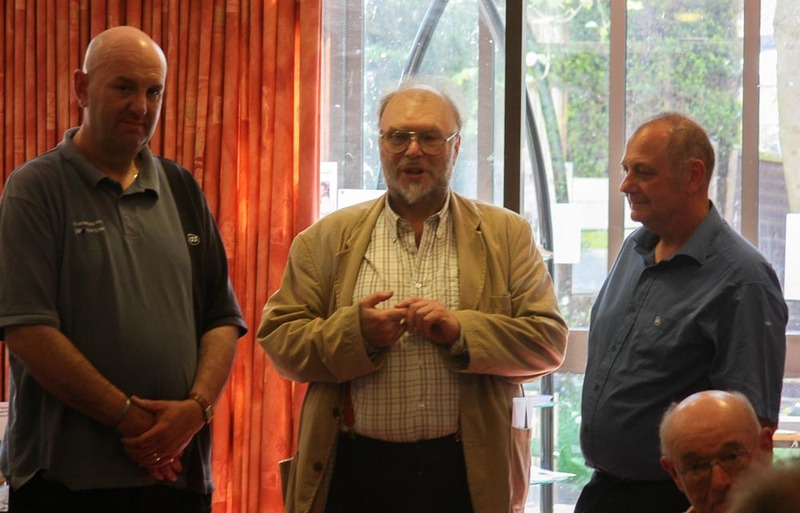 It is there for COMMUNITY use – if only some practical use could be found for it. Most important – it needs to cover the annual costs, preferably without relying on subsidies/grants. 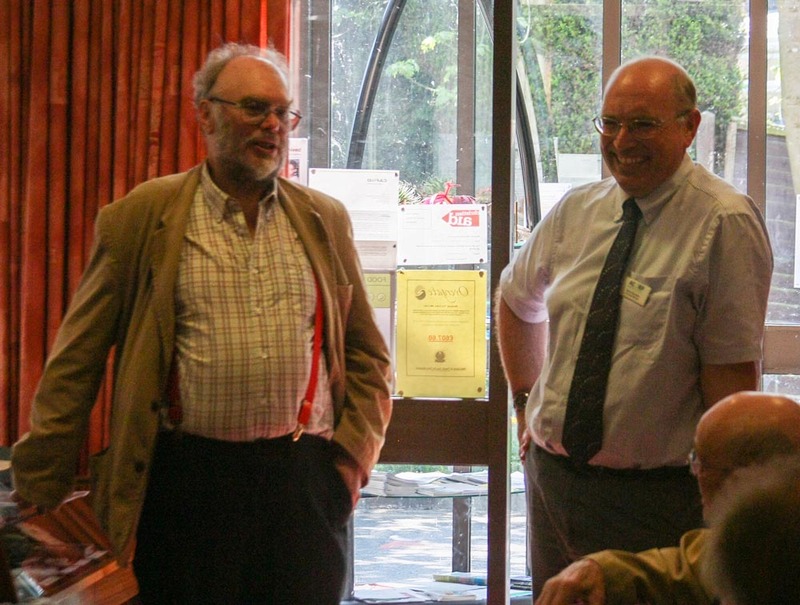 Cafes have been mentioned – but, is there a shortage in the village? 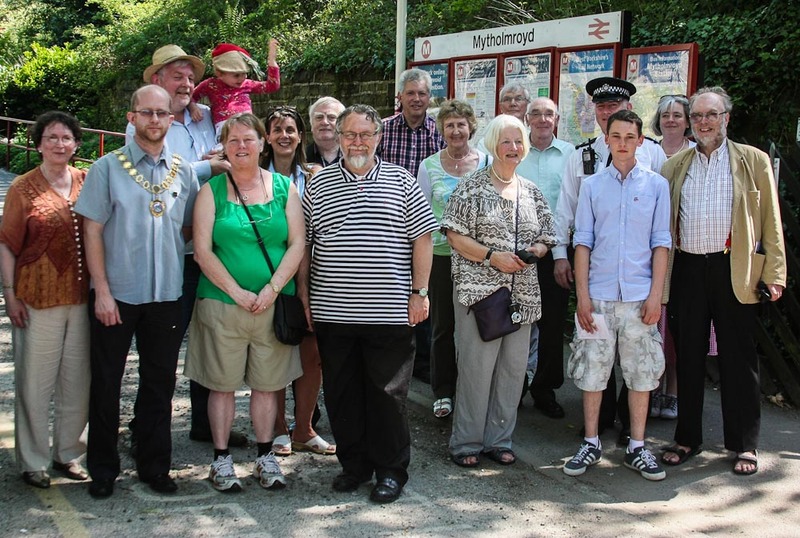 A lift to the platform keeps getting mentioned – Mytholmroyd is the only step-free station in the area. Why do we need the expense of a lift when there is a dropping-off/collection point near the short ramp to the platform? If you have an idea – then formulate a Business Plan – with realistic costings and we will assist. 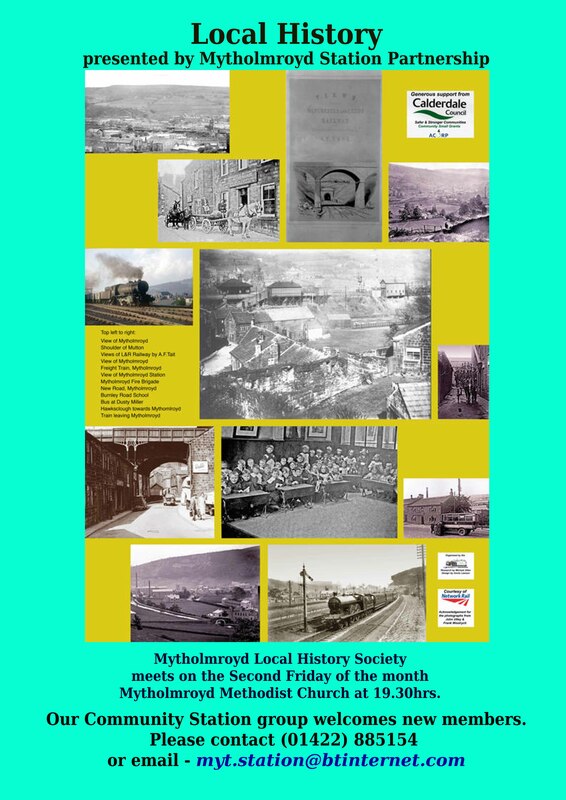 Following the unveiling of our highly acclaimed station displays, it was suggested we collect previously unpublished photographs of Mytholmroyd and district. 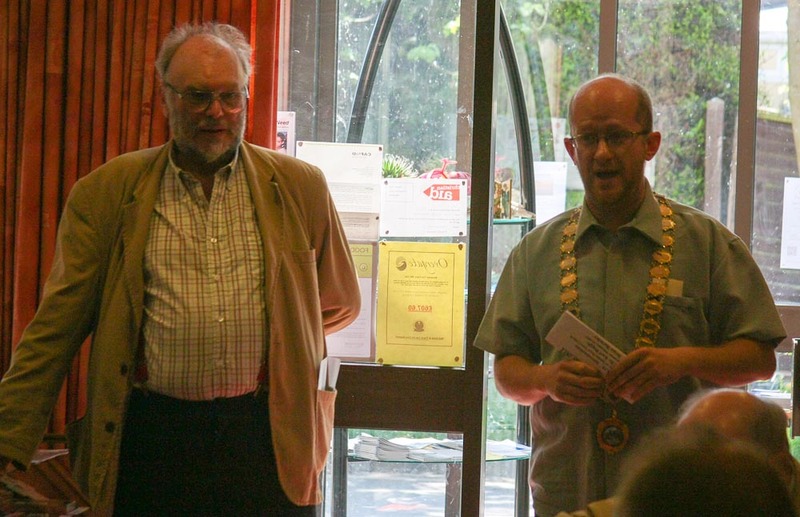 Within the first week – we have over 100 new photos! 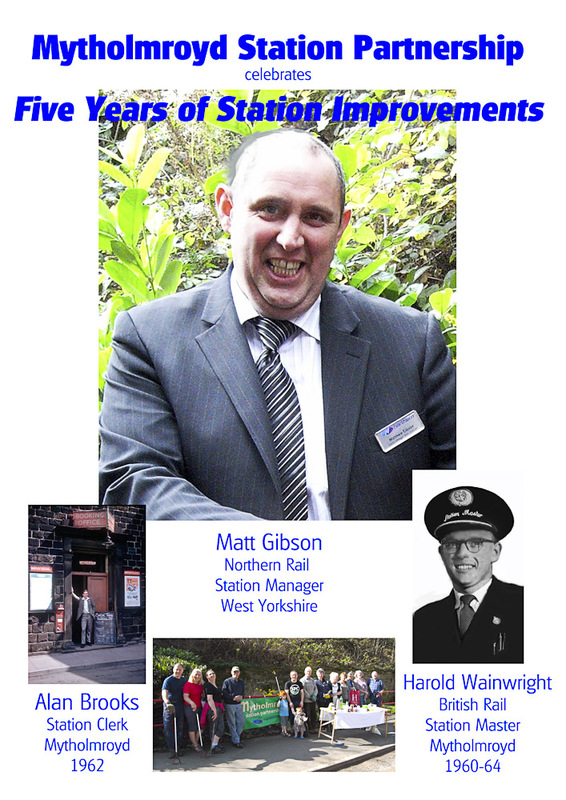 These will be displayed on the station and hopefully at venues around the area. We shall also publish them in this Blog. 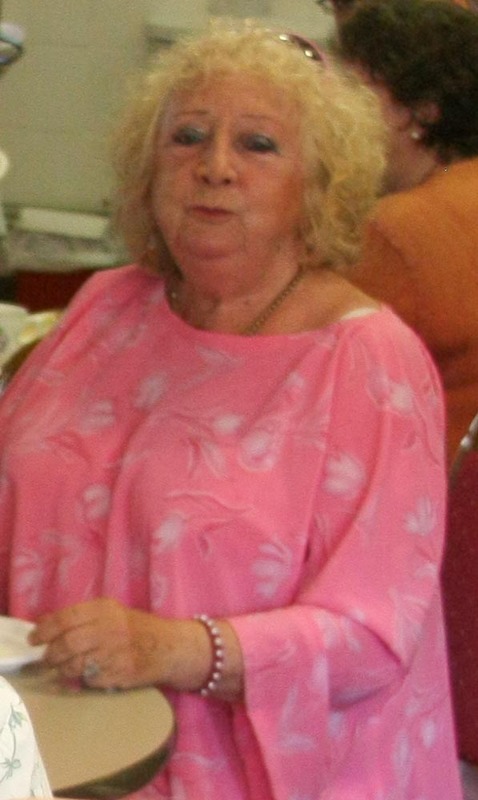 AND – if you have any photos lurking in a drawer which you think will be interest – please let us know. 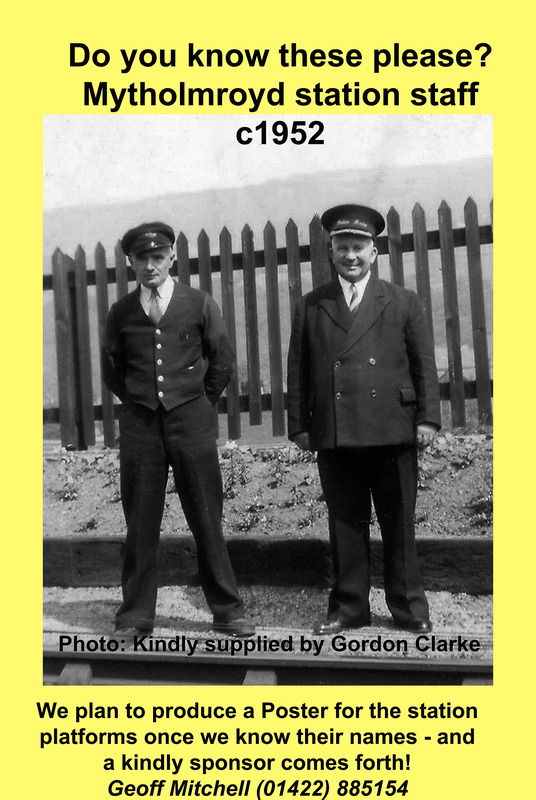 Click on the picture to enlarge – any comments, names, dates appreciated. Photographs are credited with either the photographer or the owner who have given permission. 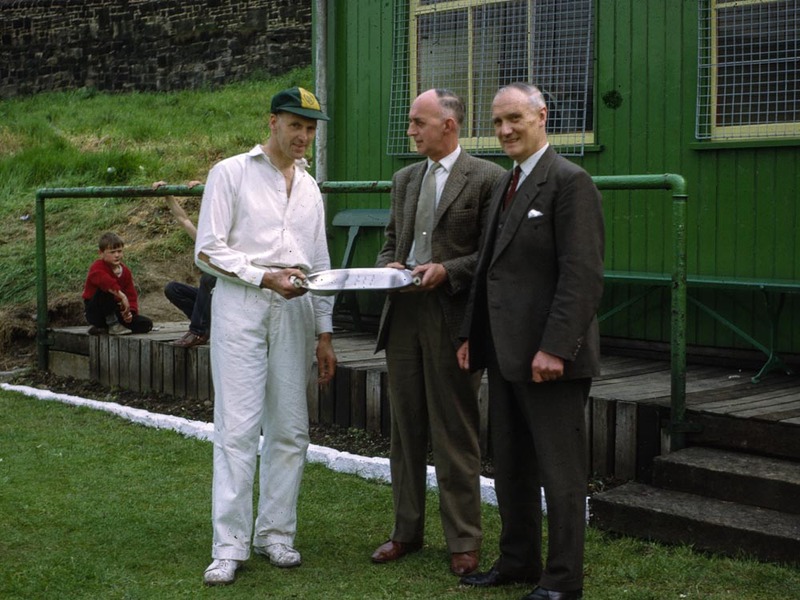 More photos from the Tom Foster collection to follow in due course……. 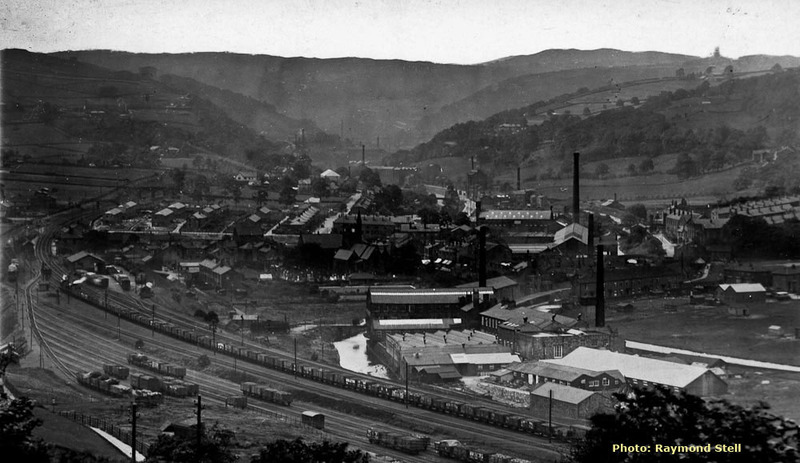 The contract for building the Mytholmroyd section was given in 1838 to Tredwell & Gerrard. 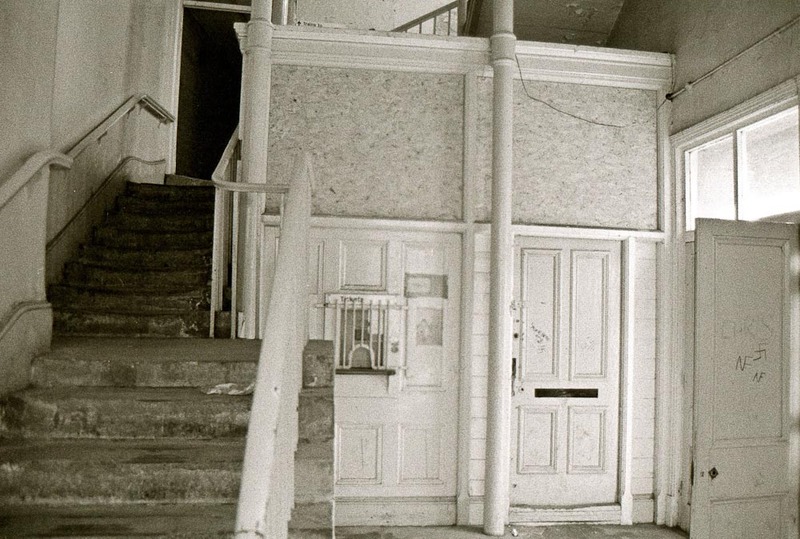 The date of the first station, at Mytholmroyd, 1847 possible timber construction, unfortunately at the present time, the exact location of this station building is not known. THE NEW STATION – From seven o’clock last evening to about the same hour this morning the traffic on the down line has been greatly interfered with at this station, owing to the rails giving way. The first length of the wall backing the platform has been got in without accident, but in excavating for the other part the ground was found to be of that loose and soft kind it could not be keep up. Several large falls of earth took place, and so far weakened the ground which the rails rested that it was considered unsafe to use them. 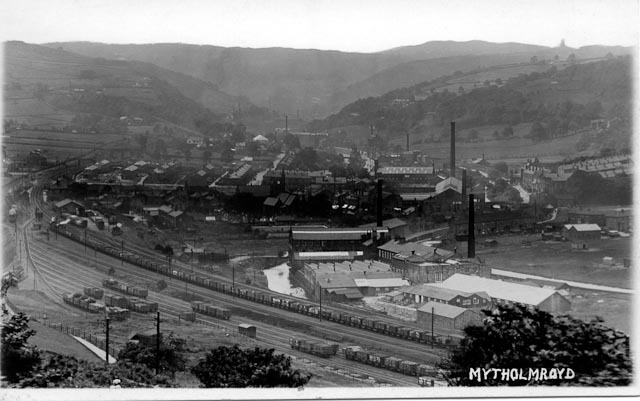 Large openings were discovered on the line; travelling on the down road between Mytholmroyd and Hebden-Bridge had to be “piloted” on the up-line. 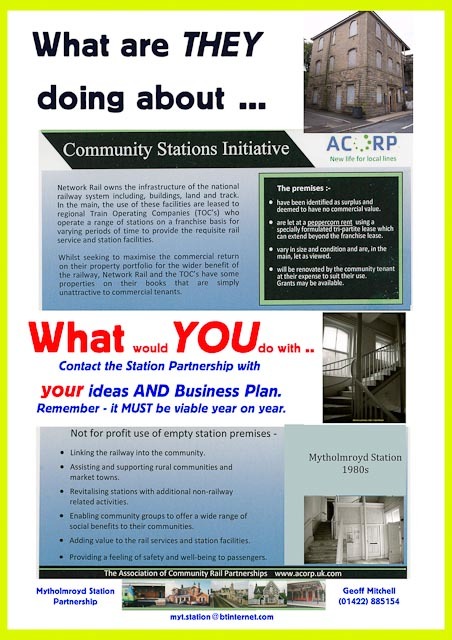 THE NEW STATION? 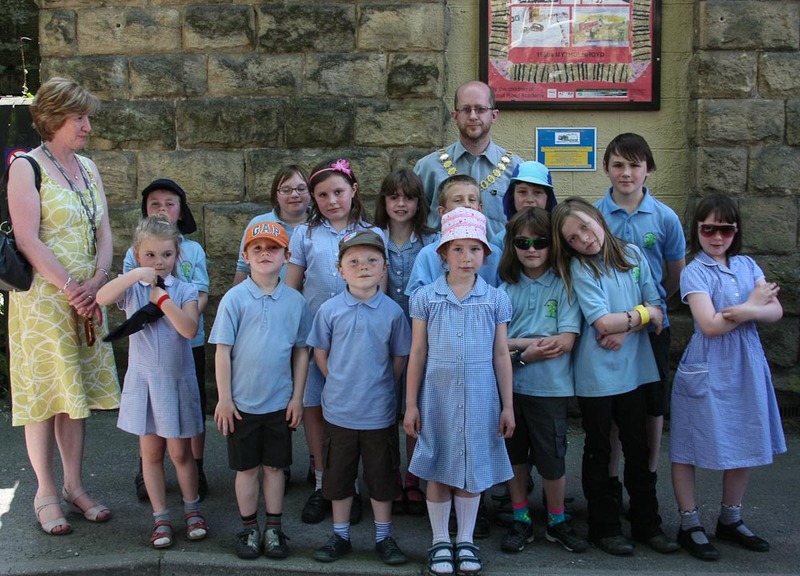 – In the news on the 6th May, it was announced that the building of a new railway station for Mytholmroyd had been let to Mr Wilkinson, contractor, of this place. In three weeks, after we reported that a portion of the foundations stones had been put down. 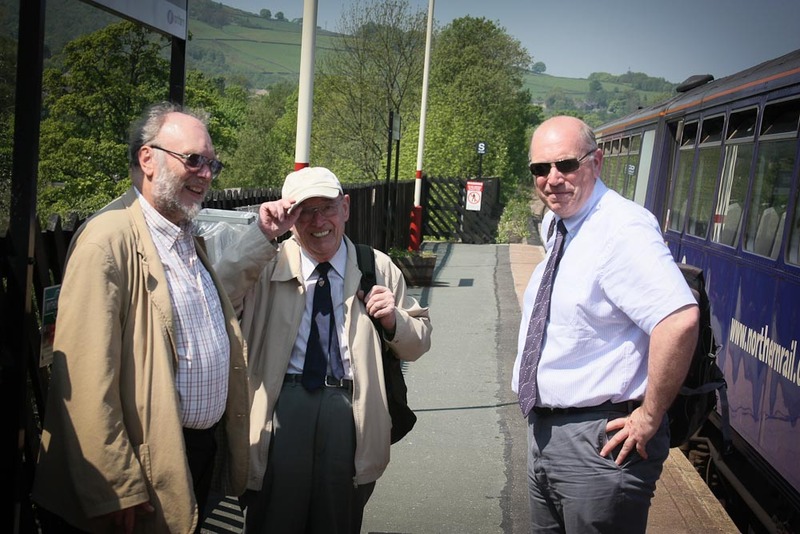 June 10th recorded another item in the news respecting the new station building to the effect that operations were suspended on account of the giving way of the ground. Since the latter date, little or nothing has been done beyond hewing a few more stones. 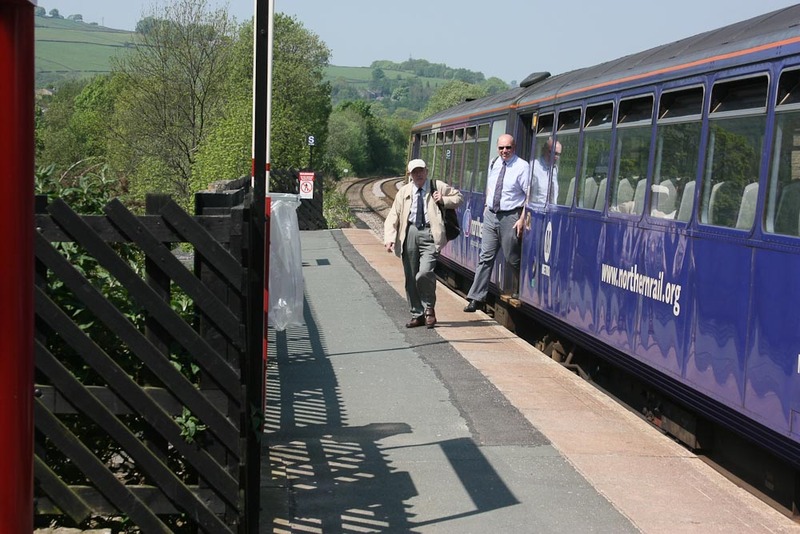 THE NEW STATION- After several weeks of fine weather the Railway Company have set about rolling away the reproach they had incurred, by allowing the contractor for the proposed new station to resume operations. 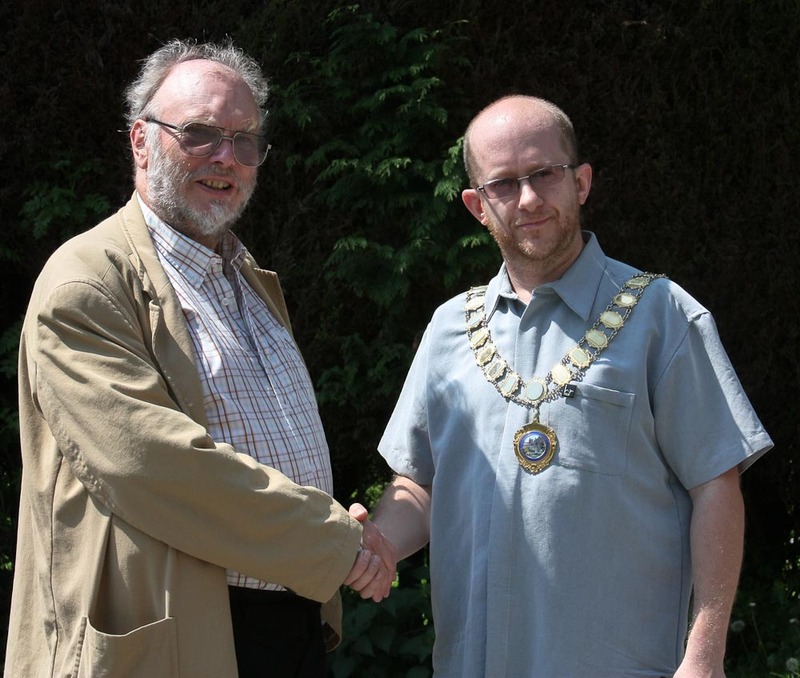 Local History – do you have any ? 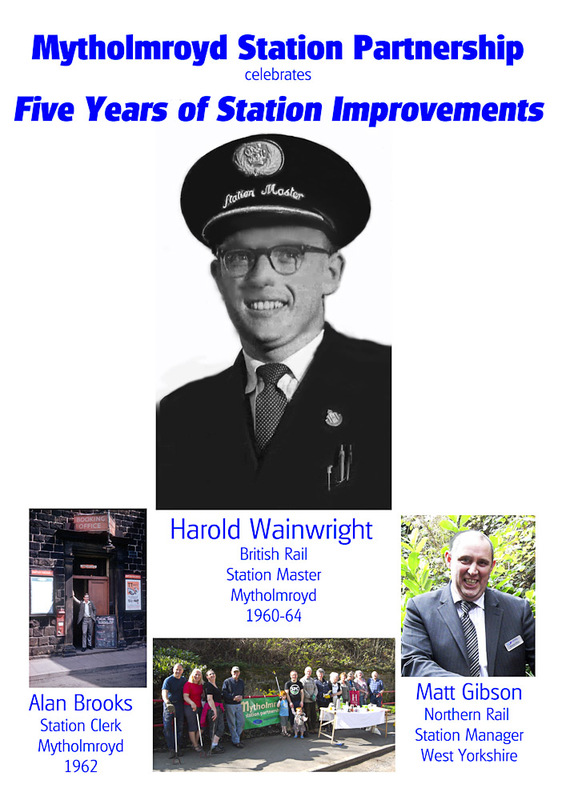 Posters similar to the ones below are now on display on the station platforms – and will be around the village shortly. 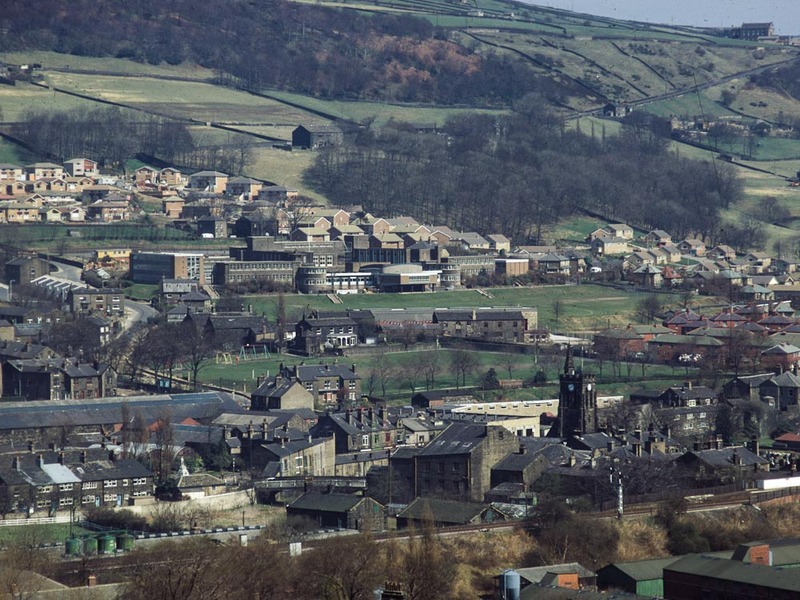 Do you have any photos of old Mytholmroyd – even the 60s and 70s will be of interest. We will scan your pictures, return them to you – then make a poster for station users to look at while waiting for their trains. Please indicate that you have copyright permission for them to be re-produced for our non-profit purposes. 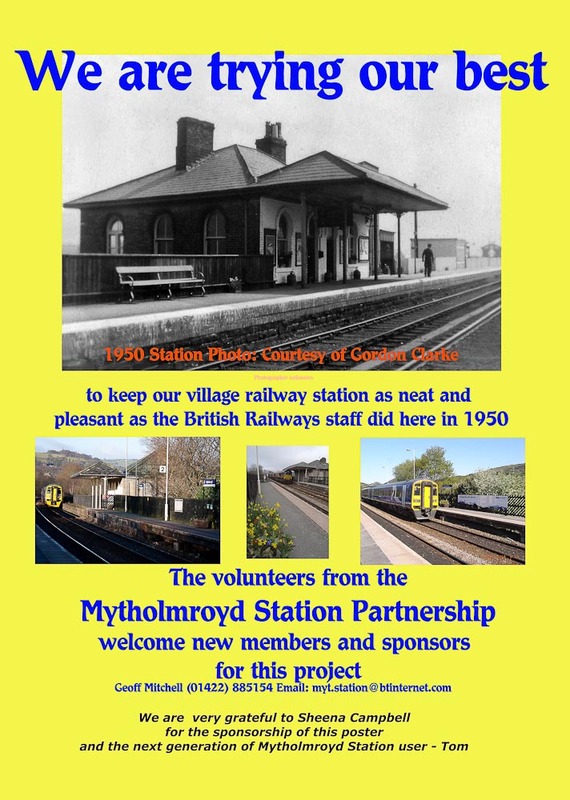 As we are a voluntary organisation, we would appreciate any sponsors for these interesting displays on and around the station. 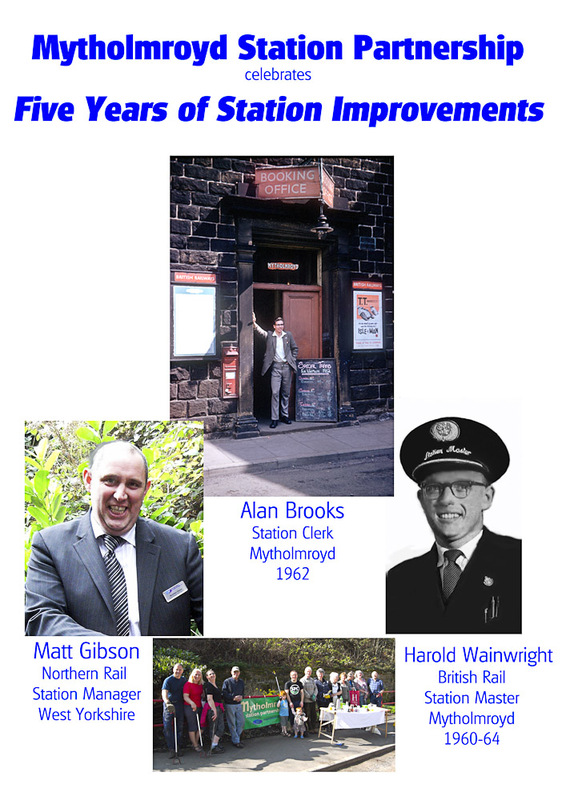 Photos of Mytholmroyd staff of the 1960s and the present Station Manager. 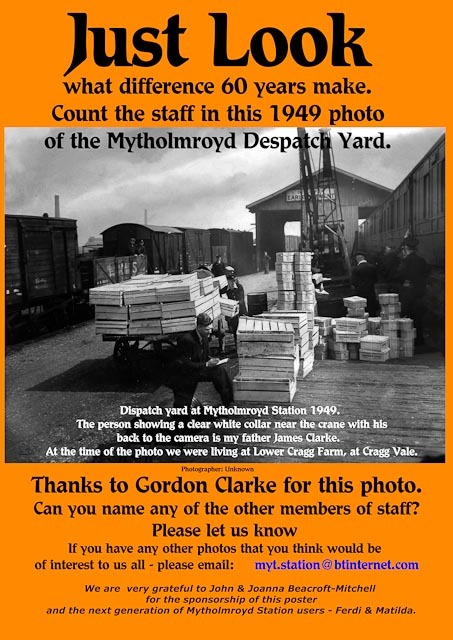 The following two photos have come from Gordon Clark – who was last at the station in 1997.